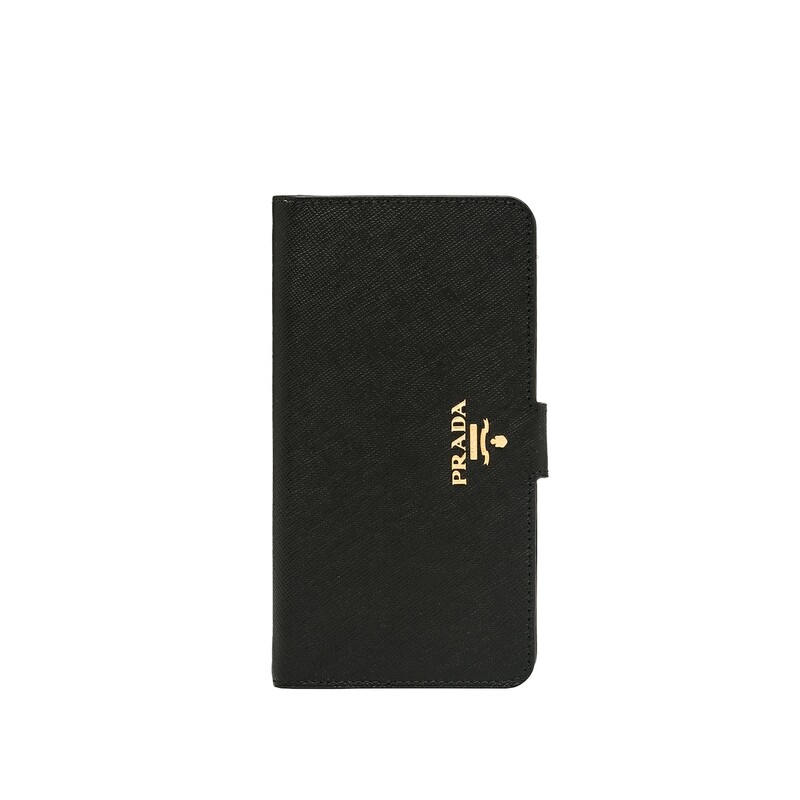 An iPhone 7 Plus cover featuring a front flap decorated with brass-toned Prada lettering. 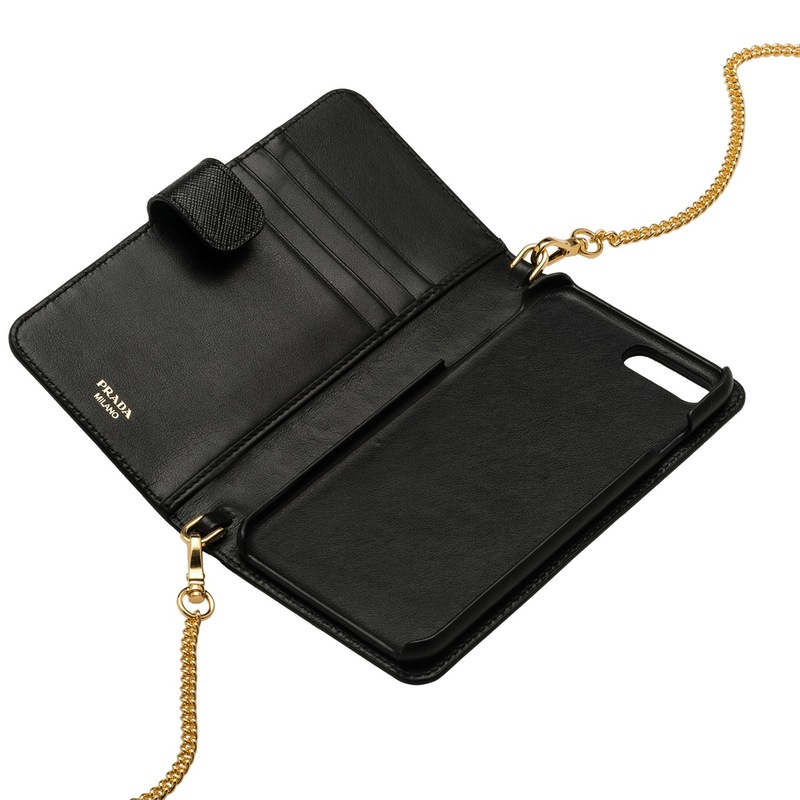 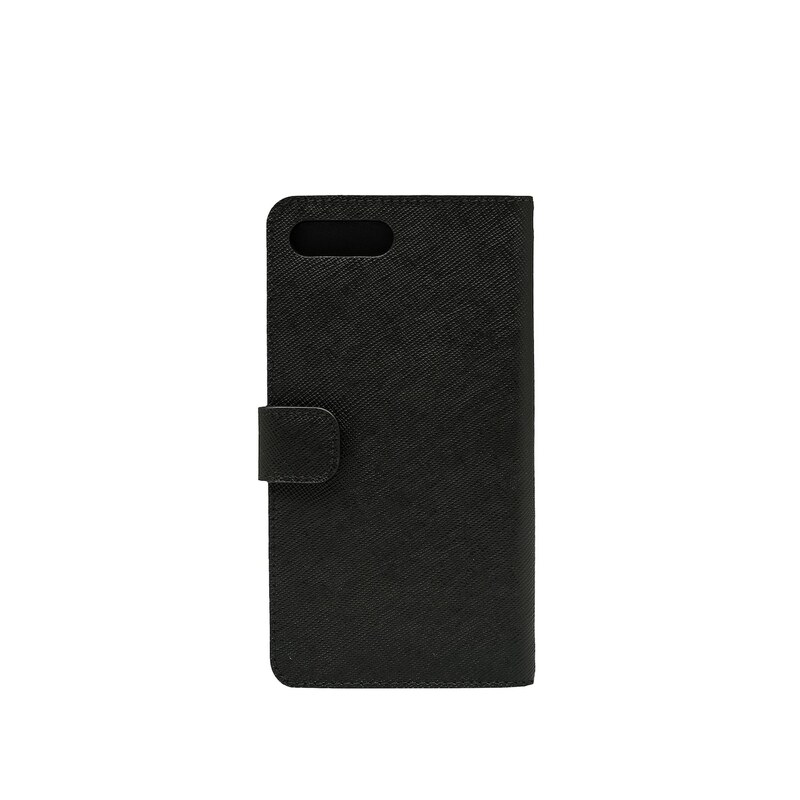 The snap closure at the back reveals the compartment for cellphone, and card slots. There is also a detachable shoulder strap.